LinkedIn On Track For The Largest Technology Floatation Since 2000, But Will It Last? Posted on 21st May 2011 at 12:05. LinkedIn took the financial markets by surprise yesterday when the site’s projected value soared by 30% over its initial public offering (IPO). The internet technology company announced it now intended to sell shares for between $45 – $43 (£25 to £27), giving the business networking website a projected valuation of £2.6 million. The estimate far exceeds market expectations, and begs the question, if this proves to be a success, who’s next? Is it the big one, Facebook? Not everyone is convinced by the vastly inflated valuation. If the shares actually sell at yesterday’s price, then the company will be valued at 17 times its 2010 revenue of £150 million. Indeed, some industry analysts believe the price is ludicrously high, given that LinkedIn has already announced that it doesn’t expect to be profitable in 2011: according to a LinkedIn spokesman – “our philosophy is to continue to invest for future growth, and as a result we do not expect to be profitable on a GAAP basis in 2011.” Eric Jackson, managing member of the hedge fund, Ironfire Capital, bluntly stated that “I wouldn’t touch the stock. I wouldn’t own it at $45, not even at $43.” He suggested that a fairer valuation might be around the $25 (£15), given that shares in market leader Google only trade at 6 times its revenue. Not all industry analysts are quite so dismissive: some feel LinkedIn has timed this IPO impeccably. Contrary to popular belief, there is money out there, and also investors looking for a place to put it. There’s a growing belief that the best place to invest at the moment is at the top end of online networking: for some the deal has come at exactly the right time. What’s more, as Facebook are increasingly starting to encroach on LinkedIn’s core market by adding job data to personal profiles, maybe the timing was right after all. What happens if this proves to be a success? Who’ll be next? Twitter, Groupon or maybe even Facebook? According to Ray Valdes, senior analyst at research firm Gartner, all the potential investors are waiting for the big one – Facebook. 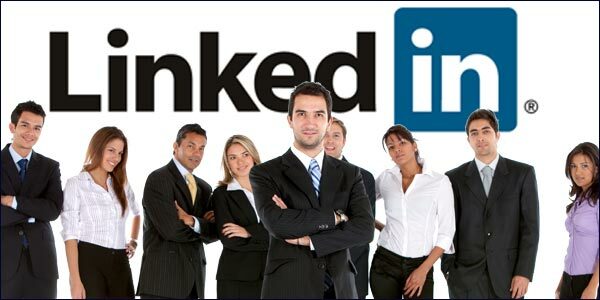 “LinkedIn is like the opening act setting the stage for the main show which will be Facebook. LinkedIn’s valuation is not outlandish as long as you are confident it can execute in the face of such strong competition.” Facebook is over 6 times the size of LinkedIn and has a user base of over 600 million. The world’s biggest social network is currently valued at approximately 32 times the estimated 2010 sales: the share prices for the company if it indeed did float could be staggering. However, all this talk of floatation brings back uncomfortable memories. Many investors who’ve had their fingers burnt are unlikely to forget the .com fiasco when the bubble well and truly burst. Surely history must teach some lessons? Well, yes, and no. Speculation on tech stocks looks like it’s on the rise again, and should LinkedIn fare well, then we may indeed be on the cusp of another tech bubble. There are undoubtedly investors out there who are keen to jump in with both feet, but a note of caution should be added. Renren, christened the Chinese Facebook, went public earlier this year and saw its share price drop below the IPO. That only goes to show there are no guarantees in life, let alone investment. Everything, it now appears, is dependent on the success or otherwise of LinkedIn. It starts trading on the New York Stock Exchange next week under the name LNKD. Are we on the brink of another tech bubble, or will someone take a pin to LinkedIn and burst it? How To Ensure That Your Content Writing Delivers Part 2.Traditional Versus Internet Marketing – Which Offers Better Value For Money?